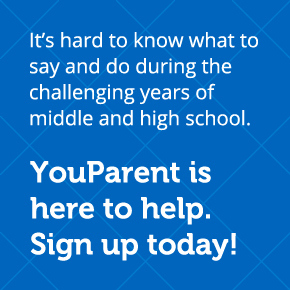 YouParent teaches effective parenting strategies and provides support in person and online. Prepare for parenting a high schooler before they get to high school. Bonding, Boundaries and Monitoring will be used as a frame to help you understanding your child as they go through developmental changes in the next few years. Each year that you participate, you will learn how to adjust your parenting to fit your child’s developmental stage. Parents need to set clear rules and expectations about no underage drinking. Knowing where your children are, who they’re with, and what they are doing helps prevent underage drinking. Bring your own questions/concerns into sessions. Receive online Support (email, text messages, online forums, facebook, etc). Receive between-session support (workshops, speakers, support groups, etc). Learn valuable parenting skills that can positively influence your child’s choices related to underage drinking. Acquire print materials and resources. National and Vermont specific information about the realities and impacts of underage drinking. Research regarding parental role on how parent’s influence their child’s choices related to underage drinking. Local Vermont resources you and your family can access for continued support.